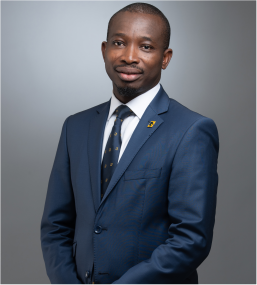 Mr. Ikiebe holds a Master’s degree in Information Technology and a Bachelor’s Degree in Computer Science from the University of Lagos and University of Benin respectively. He is a versatile and technically proficient IT professional with a broad suite of skills garnered from over nineteen (19) years’ working experience spanning Insurance, the academia, public service evaluating, lecturing, recommending and implementing Information Technology solutions. He has held Project Lead roles on several projects. He is a Microsoft Certified Professional (MCP), ITIL Certified, and Information Technology Business Manager Certified (ITBMC). Prior to joining FBNInsurance, Mr. Ikiebe was IT Manager at Cornerstone Insurance Plc. He is also, an Associate Member, Nigeria Institute of Management (AMNIM).